You may either update your personal information by logging into the Carmack's Cigar Shop Shop Constant Contact site. Should you wish, at any time, and for any reason, to no longer receive communications from Carmack's Cigar Shop Shop, you may either update your preferences by logging into the Carmack's Cigar Shop Shop Constant Contact section on the home page and unsubscribing. Further, you can one-click unsubscribe from any newsletter you receive from us. Cookies are useful in identifying how a customer arrived at the Carmack's Cigar Shop Shop website, and allow us to further enhance your experience with us online. While browsing Carmack's Cigar Shop Shop’s websites, cookies identify you and keep track of your shopping cart. Please note: Cookies, by design, do not contain any sensitive information, such as credit card details. They are stored locally on your computer, and are only read by Carmack's Cigar Shop Shop. Does Carmack's Cigar Shop shop collect my information? In a word: yes. Any information you enter on our website, or provide us in any other way, is collected and stored in a secure environment. What information does Carmack's Cigar Shop Shop collect? Carmack's Cigar Shop shop collects contact information, including email address and phone number and your message. 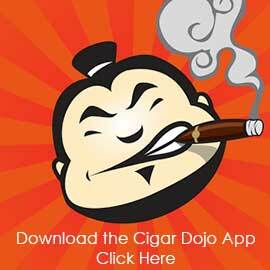 There is on online store at carmackscigarshop.com so no billing information is collected. Why does Carmack's Cigar Shop Shop collect my information? We strive to continuously improve the Carmack's Cigar Shop Shop customer experience. This means, among other things, making site navigation easier, quicker, and more precise, and listening to your comments and feedback on our online form. In short: we want to tailor-make a totally satisfying experience, and collecting your information is integral to achieving this goal. How does Carmack's Cigar Shop Shop collect my information? There are only two ways, via Constant Contact registration and on-line form submission. How does Carmack's Cigar Shop Shop use the information collected? Email: If you've opted to receive Carmack's Cigar Shop Shop weekly emails, we will send exclusive, specials, news and promotions directly to your inbox. If you would rather not receive these emails, or pick and choose which you would like to receive, you can opt-out using any newsletter via one-click unsubscribe. You can also login to Constant Contact via the home page by providing your email address and then opting out of future communications. Carmack's Cigar Shop Shop is dedicated to safeguarding your private information. We have many systems and procedures in place, each designed to protect your personal information from misuse. All of these efforts only prevent misuse and unauthorized access at Carmack's Cigar Shop shop end. Therefore, if the security of your personal information is something you value, we must insist that you sign off and close all browsers when using a shared computer.